Geography: South East, East Sussex. Contains the whole of the Eastbourne council area and one ward from the Wealden council area. Main population centres: Eastbourne, Willingdon. Profile: The constituency consists almost entirely of the Victorian seaside town of Eastbourne, and it has all the typical attributes of a southern seaside resort. A reliance on tourism for the economy, bolstered by language courses for overseas students and conferencing, higher unemployment than the southern average and a higher than average proportion of the elderly in the population as people retire to the coast. South of Eastbourne is Beachy Head, the highest chalk sea cliff in Britain and a notorious suicide spot. Politics: Eastbourne has been a Parliamentary constituency since the nineteenth century and for most of that time has been a safe Conservative seat. This changed in 1990 following the by-election caused by the murder of Ian Gow which was won by David Bellotti for the Liberal Democrats. While Bellotti held the seat for only two years, the seat became a closely fought marginal between the Conservatives and Liberal Democrats and was again held by the Liberal Democrats between 2010 and 2015..
CAROLINE ANSELL (Conservative) Educated at Beresford House School. Former teacher. Eastbourne councillor since 2012. First elected as MP for Eastbourne in 2015. CAROLINE ANSELL (Conservative) Educated at Beresford House School. Teacher. Eastbourne councillor since 2012. JAKE LAMBERT (Labour) Educated at Birmingham University. Teacher. STEPHEN LLOYD (Liberal Democrat) Born 1957, Kenya. Educated at St George`s College. Business consultant. Contested Beaconsfield 2001, Eastbourne 2005. MP for Eastbourne 2010 to 2015. ANDY DURLING (Green) Educated at Sussex University. PAUL HOWARD (Independent) Former headteacher, runs a training and consultancy business. But don’t you think it could get even worse. Where the LDs did retain some competitive advantage – within a limit of course as I said – that residual support could now collapse aswell. It is clearly within the Tory interest to keep UKIP going though, because at the end of the day it’s better to have as much debate as possible on the centre/right/right – provided it doesn’t get too divisive, then have the liberal media in a love in with the lib dems. Is that what it’s now come to. clearly would include Tory voters, then. This may well not be taken back in 2020, but I don’t feel there’s any good reason to assume there’ll be a Lib Dem unwind here either, given they’ve been getting at least this result for a long time in this seat and that it doesn’t as far as I’m aware seem demographically ill-suited. I feel there is an extent to which some people are now “reverse ramping” the Lib Dems. For example, from JJB: “It was an election where people felt they had to choose between Conservative and Labour – but it is not a two party system – UKIP and Greens aswell, plus the fragments of the LIb Dems.” The idea that the Lib Dems are “fragments of” whereas UKIP and Greens are not apparently fragmentary, is a wording choice that I don’t really see the psephological basis for. My impression, though if I’m wrong do correct me, is that this is based mainly upon an erroneous belief that the party has now lost all of its purpose or possible electoral niches – part of a slightly old-fashioned viewpoint that sees the electorate as divided into “basically Labour” “basically Tory” and “protest” voters, and that thus third party votes will mostly naturally “unwind” back to their original parties once a seat is lost. Whilst such a dynamic exists to an extent among some tactical voters, I just don’t feel there’s a great deal of evidence to suggest that it’s a sufficient explanation to track the fortunes of Liberal and other third party candidates. Certainly not, but there are some posters on here who I do not take very seriously, particularly since the election when a couple have taken it upon themselves to become reverse Gloy Plopwell. I think the Lib Dems could fall further in places like Bristol West which is now clearly a two way Lab/Green choice, slip further back in Solihull and lose addiditional votes to the Greens and UKIP in a lot of the SW. 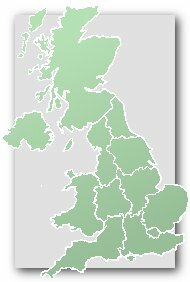 I would be surprised though if they do not remain in broad contention in most of the urban seats they lost to the Tories where they still have a significant local base such as Colchester, Cheadle, Sutton and Cheam, Kingston &Surbiton, possibly Twickenham, Bath, Cheltenham and especially this seat. It seems reasonable to suggest that this is the most likely LD gain from the Tories in 2020 (even if it’s not certain the LDs will gain seats but I can see them recovering to at least 12-16 in 2020). That said I would still say that 10% possibly now the LDs national ceiling and I do not see them regaining third above UKIP for the foreseeable future. Iain – Joe James B isn’t a reverse Gloy Plopwell, he IS Gloy Plopwell. There is of course a ‘core’ Lib Dem vote but it is pretty small: maybe 5-10% of the voters. The rest has always been a strange fluctuating and unstable amalgam. Yes I know! I was alluding more to the Results / Runnymede. Joe James B has been somewhat hopefully forecasting the total collapse of the Lib Dems for years (pre-coalition) IIRC. Don’t spoil the fun by revealing Gloy’s identity after so many years! As I have said elsewhere, UKIPs future support very much links to the EU referendum results. If the vote is to leave, then they wouldn’t seem to have much purpose, whereas a narrow yes vote would keep them in the forefront. I would reckon that the Lib Dems are capable of over 10% next time round. The LDs can only stay competitive in Burnley if they can retain the votes of former BNP supporters. Without Birtwhistle, who is already getting on a bit, they’ll have their work cut out. There’s a council by-election coming up in Twickenham following Tania Mathias’s election to parliament – will be interesting to see if the LDs make any impact. lt is in their weakest ward in the constituency, though even there they have won in the past (though not since 1990). Barnaby, sometimes you have a lot in common with Runnymede, JJB and The Results (i.e., you get very emotional about the Lib Dems). In Burnley, from 2001 to 2005 to 2010 the BNP got 11, 10, and 9 percent. Over those elections the Lib Dems went from 16, to 24 to 36. Then in 2015, compared to 2010, the Lib Dems lost 7% and Labour gained 7%. Of course, UKIP jumped from 2% to 17% as the BNP didn’t run and the Conservative vote fell. Had there been an equal and opposite version of Plopwell, making ‘ridiculous’ predictions of unfathomable LD drops before the election, then he or she would have looked very prophetic now. Even an Hemmelig or Robin Hood character who was relentlessly pessimistic about the party’ they support’s chances would have looked fairly clued in. I don’t know much about the inner mindset of a Liberal Democrat, but there must be something in the very fabric of the DNA which is unapologetically optimistic and prone to ramping. It’s a bit strange to have accurate predictions of bad performances by a party equated with absurd and obviously non-serious predictions of the same party’s success. But I suppose clear thinking is not what we should be expecting from our Lib Dem friends just now. There was nothing emotional in what l said above, which was a hard-headed assessment of the problems facing the LDs. lt can’t be denied that l loathe the party, but l don’t see any trace of that loathing in my above post. There are some individual LD members that l get on quite well with – but not many. Barnaby, why do you loathe the Lib Dems so? Comments policy forbids me from explaining fully. l should explain that l live in a borough & constituency where my party has taken a terrible tonking from the Liberals over the last 40 years or so, and perhaps just suffice it to say that l have found their campaigning to be less than totally honest on a number of occasions. Specifically, l campaigned in Bermondsey for Peter Tatchell who of course was the Labour candidate in 1983. l can’t go into more detail than that, but l have always found them less apt to campaign on actual issues than some other parties. Go away, these predictions are just spam at this point in time. No I will not go away. I will post on here whenever I feel like it thank you very much. Iain isn’t right to ask you to go away, but the predictions are a bit of a waste of time TBH. Obviously, you may get some of them right, but let’s at least wait for the boundary changes to take place at the very least, otherwise it really is completely pointless. Hell, there may not even be an Eastbourne constituency in 2020 (though presumably there most likely will be). Thanks Barnaby. In lieu of having precious little else to say, I went a bit mad earlier on today and decided to post a few tentative early predictions not allowing for any potential boundary changes that may occur in the future. I now realise that doing this was a mistake, and that being told to ‘go away’ and being accused of spamming by Iain on more than one seat was all I really deserved for being so stupid. I just won’t bother for a few years if I’m just going to get bullied all over again. Just a postscript to my above comment- I do know BTW that although I’ve contributed on here for the last three years that I’m still open to criticism just like anyone else is- but I will not be told to go away, that’s just not fair. The Results – you should not go away. I find most of your posts quite interesting and useful. Predictions aren’t much use yet though – give it a year at least to see what the political situation is, and if any boundary changes. Thanks Joe for your kind words. I understand what people have been saying to me. The potential boundary changes really do make things much more uncertain for the time-being at least. My lord, telling someone to go away, what a dreadful thing to say. I think by any reasonable reading ‘go away’ can be taken to mean ‘stop spamming’. If you don’t think this is a fair reading of it then fine, but please don’t feel the need to say so and continue this pointless argument. But I’m not spamming though. Lib dems did well to hold the council are they a particularly good council or are the boundaries very different? In her election address, she pledged he would, if she were elected, be a full-time stay at home dad to bring up their children. Spouses on the Parliamentary payroll are featured by Guido’s site, amongst others. Panther – the answer to your question is at the top of this page. One ward in Wealden & the whole of the Eastbourne council area comprise this constituency. So, not not really, though the council area is less Tory than the constituency. The swing against the Libdems was comparatively small in this seat and they will be hoping to regain it even if they only recover gradaully from the landslide aginst them this May. A caution for this seat and indeed every other one: all bets are off for 2020 if Labour implode in England on the scale they have done in Scotland. In that case everything will depend in what party or parties replaces Labour. I do not see any reason for Labour to implode in England as it did in Scotland. So long as Labour does not lose the loyalty of much its traditional core vote, as seems to have happened in Scotland, the electoral system will prop it up as a major party. I love the fact that the tories won the election outright, an event which i thought, looking at the polls, was almost impossible. I confess I got that very wrong. BUT the tory triumphalism is extraordinary. The majority is the smallest ever in a tory government. The party has a majority of 12. all this talk of labour being dead for 20 years is way overblown. Agreed. In some weird kind of way one might even argue that this election was a good one for Labour to lose, as it has potentially given them more time to refocus and improve their chances of winning under a completely different leader in the future- as it stands the Tories will probably get through this Parliament without too much trouble, but it indeed has to be noted that Cameron still couldn’t win a convincing overall majority, and to only have one much less than Major secured in 1992 suggests the electorate will never support them in the same numbers ever again. No election is ever a good one to lose. Mathematically I think a Labour majority is quite difficult to envision in the foreseeable future. I agree with the above comments to the extent that not much would have to go wrong for the Tories for the party to be unable to govern post 2020. However I don’t see a route to a Labour majority until the SNP phenomenon has played itself out, and I don’t see that happening prior to a second independence referendum. Not only do the SNP deprive Labour of Scottish seats but, as we saw this year, the prospect of an SNP/Lab coalition enhances the English Tory vote. Post referendum the Nats will either get what they want (in which case Labour would be forced to adjust to a new UK minus Scotland political landscape), or there will be a second no vote followed by the SNP going the same way as the Quebec nationalists in Canada. Completely agree with Kieran’s excellent post. On Eastbourne, this seat will be harder for the Lib Dems to regain that it looks on paper because Stephen Lloyd had a very considerable personal vote and he has stated that he will not stand again. Ditto Normal Baker next door in Lewes. My gut tells me that both seats will follow the established pattern of an increased Tory majority the election after a popular Lib Dem departs, though of course national circumstances will play a big part too. I think that Labour will have to aim to force a Hung Parliament in 2020- that has to be their realistic objective looking ahead I think. I agree with you Kieran that the Tories will have to do badly in national vote share and seats to lose office on five years time, and that the worst scenario for them will be the possibility of deadlock with Labour in seats- I echo the above comments that Labour have virtually no chance of getting an overall majority any time soon- in fact, quite the contrary; if the Tories play their cards right they might boost their vote share, seats and overall majority next time given the above factors Kieran documents quite rightly. One day the Lib Dems could feature again in both Eastbourne and Lewes I think. Granted that both Lloyd and Baker were very strong incumbents with commanding presences and heavy airtime in the local media which may never be matched by their successors as candidates for their respective seats- I would go as far as saying that Norman Baker was largely responsible for the Lib Dems ever winning Lewes at all, and that seat could see quicker unwind than in Eastbourne, where the party remain strong in local government, the Tory majority is narrow, and Lloyd had been candidate/MP nowhere near as long as Baker- all of which tells me the Lib Dems shouldn’t at least give up taking that back, even with a new candidate. They will continue to feature but I doubt they’ll win back either seat next time. Both Baker and Lloyd were genuine locals who were steeped in the local politics of their towns, were well known locally, had fought the seats in previous elections and were in pole position to benefit when the incumbents became unpopular. probably the best chance of a Lib Dem gain – ultra-marginal and they still control the council. Early days yet of course, obviously if the Tories win every county council division in 2017 that would suggest a real uphill task. Both Eastbourne and Southport have substantial retired and commuting populations. However, Eastbourne is in the Tory South-East heartland whereas Southport is part of Merseyside where even the right-wing and middle-class often regard the Conservatives as beyond the pale. It is a little while since I have been to Eastbourne, and longer since I went to Southport, but whatever their demographics they simply feel very differnt from each other.. Possibly the Lib Dems’ best chance of gaining anything, let alone a Tory seat. Retreads don’t always do well but there are a few exceptions (Ronnie Fearn in Southport springs to mind). Although given that all the party’s current MPs are men you’d have thought they’d go for a female borough councillor here.